The dialogue, held on March 25 and 26 in Canada’s capital of Ottawa, is an annual meeting in the framework of the ASEAN-Canada dialogue relations. 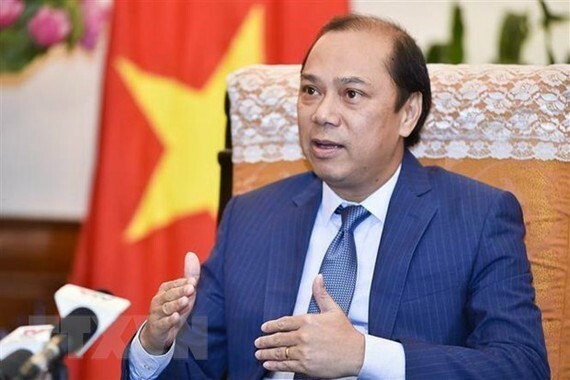 The Vietnamese delegation to the event was led by Deputy Foreign Minister Nguyen Quoc Dung, who is head of the country’s SOM ASEAN. At the dialogue, the two sides shared positive assessment of the progress in ASEAN-Canada relations, particularly the implementation of the Plan of Action to implement the Joint Declaration on ASEAN-Canada Enhanced Partnership (2016-2020) and the Joint Declaration on Trade and Investment. So far the two sides have completed 86 percent of lines of actions stipulated in the Plan of Action. Canada is now the 9th largest trade partner of ASEAN with two-way trade reaching US$13.8 billion in 2017. Canada is also the 8th largest investors in ASEAN with total investment of $954 million. The two sides affirmed their support for an open, just and rule-based international multilateral trade system, and agreed to continue discussing the possibility of an ASEAN-Canada free trade agreement. The two sides agreed on the priorities for their cooperation in the time ahead, including trade-investment, connectivity, development of micro, small and medium-sized enterprises, response to natural disasters and climate change, energy, education, people-to-people exchange, migrant labour, border management, cyber security, and fighting terrorism, extreme violence and cross-border crime. Canada valued the increasingly important role of ASEAN and stressed that as a trustful and long-time partner of the bloc, Canada wants to upgrade its relationship with the bloc, especially to participate deeper in cooperative mechanisms initiated and led by ASEAN, particularly the East Asia Summit (EAS) and the ASEAN Defence Ministers’ Meeting Plus (ADMM ). The North American country pledged to continue assisting ASEAN in building the ASEAN Community, and affirmed its support of ASEAN’s central role in the regional structure. The ASEAN appreciated Canada’s commitment to the Southeast Asian region and asked Canada to continue helping ASEAN in strengthening connectivity, implementing the Master Plan for ASEAN Connectivity to 2025, narrowing development gap in the region, developing human resources, and upholding its role in the forming regional structure. The bloc urged effective coordination between ASEAN and Canada at regional and international forums and in responding to emerging challenges. The 16th ASEAN-Canada Dialogue also discussed prospects of global economic development and rising challenges such as terrorism, extreme violence, cross-border crime, climate change, and natural disasters. Canada expressed its support of ASEAN’s principled stance on the importance of maintaining peace, stability, security and freedom of navigation and overflight in the East Sea. The country also underlined its backing of dialogue and trust building, self-restraint and non-militarisation, while protesting unilateral actions that cause tension in the East Sea. Canada advocated the settlement of disputes by peaceful measures on the basis of international law, including the 1982 UN Convention on the Law of the Sea, and the full and effective implementation of the Declaration on the Conduct of Parties on the East Sea (DOC) along with the building of a binding Code of Conduct on the East Sea.